Posted with permission from Ziff Davis, Inc.
We’re proud to report Ooma has been selected as PCMag’s 2014 VoIP Business Choice winner for small businesses of less than 25 employees. Receiving an overall score of 9.4 out of 10, Ooma beat out competitors such as Shoretel, Avaya, Cisco and RingCentral. Ooma was also rated No. 1 in categories of Reliability, Technical Support, Least Likely to Need Tech Support (ease of use), and Likelihood to Recommend. Ooma Office launched to the U.S. market in 2013 and has since expanded to Canada. Since launch, we’ve been hard at work updating feature capabilities while still ensuring the product remains affordable. While most U.S. microbusinesses using traditional phone lines spend around $300 on a month on their phone bills, Ooma Office customers – who include start-ups, law firms, accountants and non-profits – have cut down their bills considerably. The PCMag results further reinforce Ooma Office’s increasing name recognition as a go-to SMB phone system for allowing small businesses look and sound like big businesses. And we’re not stopping here; we’re constantly finding ways to give our customers the best experience possible. Be on the lookout for more (positive) changes as we move into the summer months. In case you’re curious, the VoIP Business Choice survey was limited to PCMag.com community members and available at SurveyMonkey.com from March 12 to April 21, 2014. Users were asked about overall satisfaction with the service and technical support within the past 12 months. PCMag is a popular news publication offering consumer and business technology news and reviews. Its parent, Ziff Davis, LLC, is the world’s largest digital media and technology company and reaches over 100 million viewers per month. I am looking for the part of the contract that requires an annual premier billing? Can anyone plese help??????? are you still in business? I can’t reach anyone and your website is down. I’m wondering if this is a real company or should I go with vonage? We were performing server maintenance last night. Sorry for the inconvenience. Yes, we are still in business. I’m currently with RingCentral but have been getting more and more fed up. I want to change, but I need to port my toll free number. Do you have any timeline when toll free will be available? 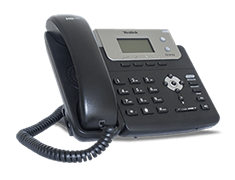 Currently our Office product will allow you to port toll free numbers. I currently have an AT&T landline. It was our home phone for 30 years, and it still is used as our home phone. About four years ago, we started using it for a home based business as well. We switched the account to a business account with AT&T so we could get in the Yellow Pages. That was a bad decision because it means we get all these marketing calls and can not get on the no call list. We don’t feel we need to be in the Yellow Pages. We are wanting to return the phone number to being a home phone number, but AT&T won’t allow us to unless the business is closed. Can we switch to Ooma, and if so what is involved? The number would be used as our home phone number as well as for the home based business. Comcast is our internet provider. Please advise. Thanks. Hi Sherry! 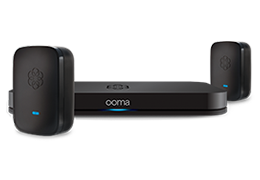 You absolutely can switch to Ooma. Check on this page: https://www.ooma.com/products/choose-number If you could transfer your number beforehand! It would be very helpful if you showed how to use the Linx when setting up for the first time. I was told that the base phone had to be plugged into ooma base, which is not the case. It took a number of calls before I got someone that could help. do you have call forwarding? where can I see a list of features? Thank you for this post! I have been doing a lot of research on this lately. Keep up the good work on this blog! I have an HP All-in-one printer. Will I be able to FAX with OOMA? We have had OOMA for a couple of years & I would overwhelmingly recommend it! Absolutely the best. I would suggest getting the hardware from a Groupon or Living Social, unless it has come down. Ooma: please do not reply w/my name of email address. I received the ooma business hardware today but keep getting a “time-out” error when trying to access office.ooma.com to activate. Is this still a valid address? Let me know if you are still having issues logging in! I am torn between getting Ooma home or Ooma business. I have a small business. What would you suggest? How do I choose the phone number for my business once I order ooma? is it pre-assigned or are there few to choose from? Hi Larisa! You can Port over your existing number or get a new number for no additional cost. Please call Customer Support at 866.452.6662. Monday-Friday 5am-5pm PST, Saturday-Sunday 8am-5pm PST. Apprciate thhe recommendation. Will try it out. Hi, I log on to your blogs liike every week. Your humoristic style is witty, keep doing whast you’re doing!